It is that time many of you are thinking about Easter projects and we wanted to take a moment to highlight some of our Easter sets and customer projects for Easter. After 15 years in business, Bunnycup has an extensive range of Easter Embroidery Designs that you are bound to fall in love with. 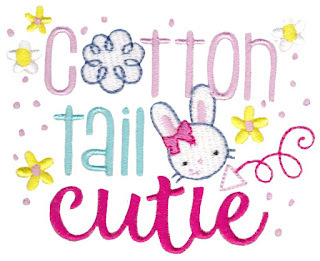 This adorable Easter word art embroidery designs are perfect for little ones - use them on onsies, shirts, easter baskets and so much more. This set includes 12 adorable designs for boys and girls. 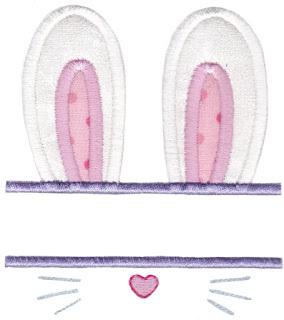 Split Easter Applique is a fun collection of Easter embroidery designs that you can personalize with names (between the splits). This collection comes in 4 sizes, one each for the 4x4, 5x7, 6x10 and 8x8 hoops. The split cross would also make a gorgeous Bible Cover!. All aboard the Easter Train! 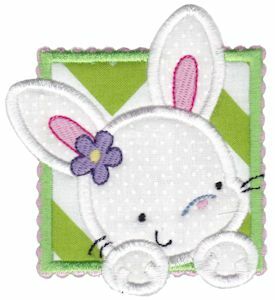 This wonderful collection of Easter applique embroidery designs are so fun and bound to delight. This collection includes 3 sizes, one for the 4x4 hoop, one for the 5x7 hoop and one for the 6x10 hoop. These designs would be delightful on a table runner! Box Easter Applique is an all time favorite set and has been very popular. 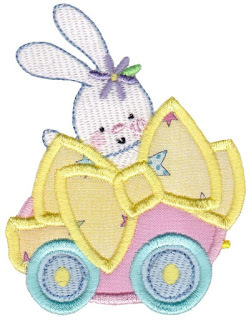 These adorable applique easter designs will made just about any Easter project a delight and includes 3 sizes, one each for the 4x4, 5x7 and 6x10 hoops. Interested in something not so cutesy and a little more serious for Easter? We have have some stunning religious Easter designs in store too. These are great for spreading the faith and would again make some beautiful bible covers. 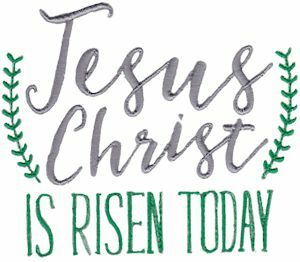 We have many, many more Easter designs available - so check out our full range of Easter Embroidery Designs. 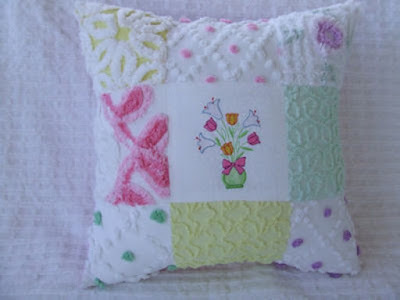 Cherrie made this darling cushion using an embroidery design from our A Cute Easter Applique! 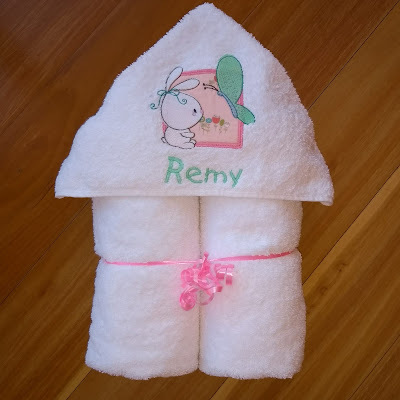 Kelli-Ann made this cute towel using an embroidery design from B Happy Moments. Denise made these adorable Easter Baskets using embroidery designs from our Easter Sentiments set. 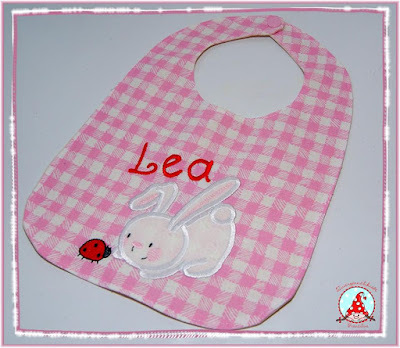 Fran made this darling bib using a design from our Snuggle Bunny Applique set. You can view all our Easter Embroidery Designs and don't forget to view our Easter Projects in our Customer Gallery. We hope you have fun looking through all these fabulous Easter Embroidery Designs and if you have a project you would like to share then we'd love to see it in our Facebook Group so come and join in the fun if you haven't already - Bunnycup Embroidery Facebook Group. We can’t wait to see what you have made!